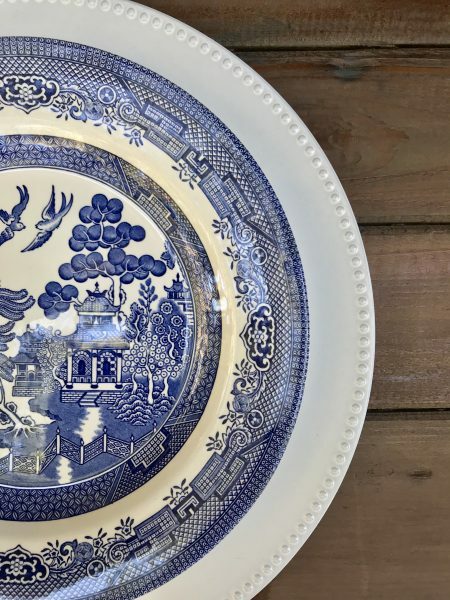 The birds on the plate design represent two lovers in marriage forever together in afterlife. 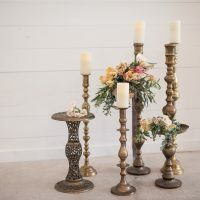 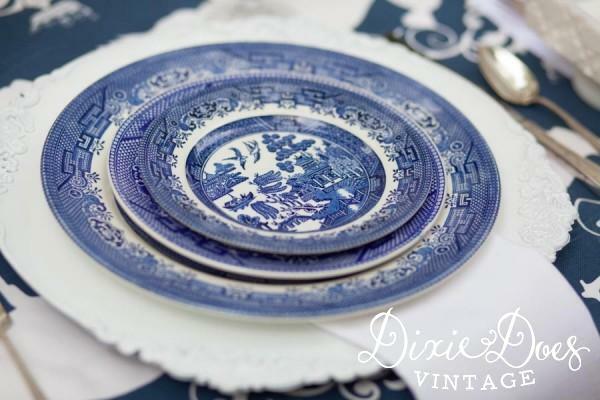 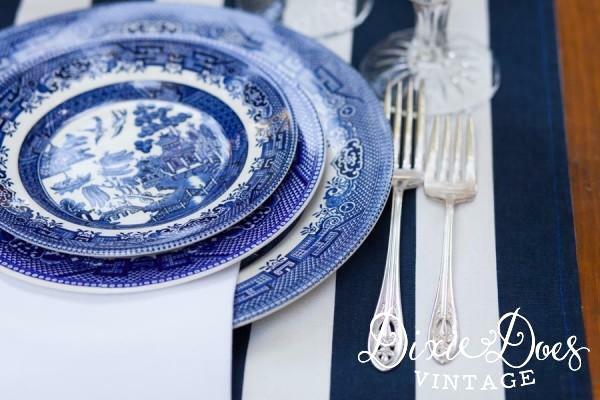 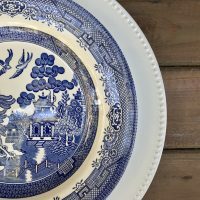 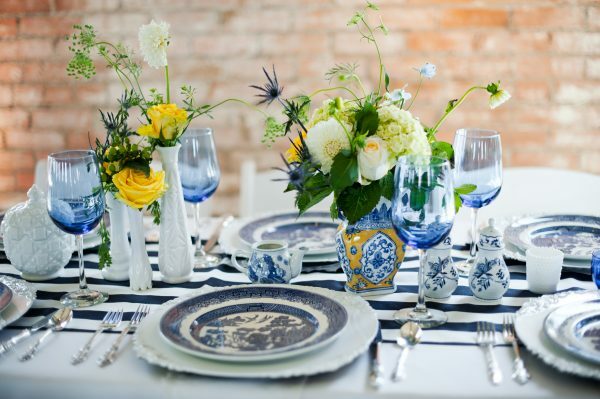 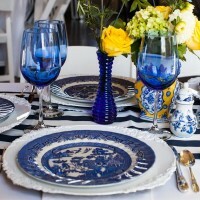 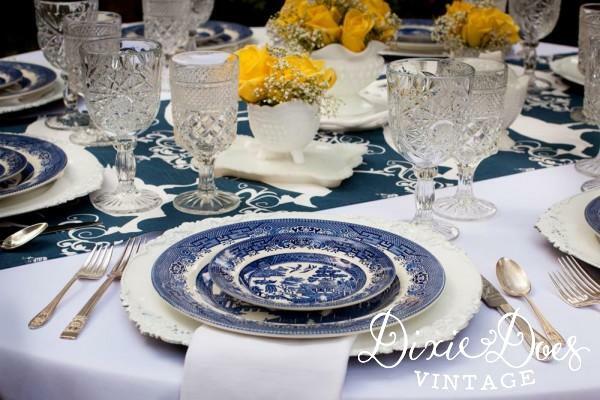 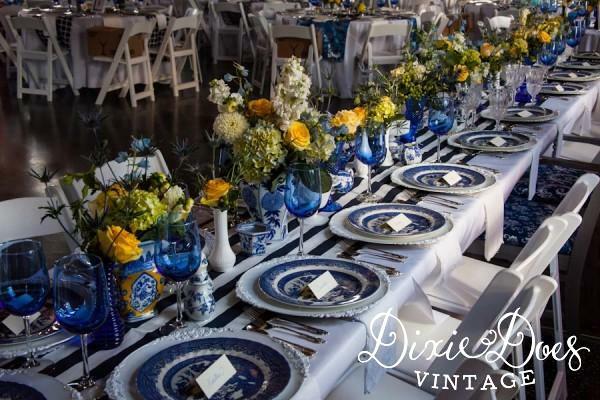 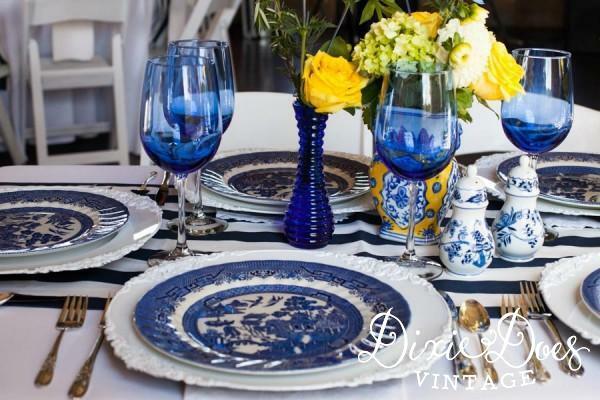 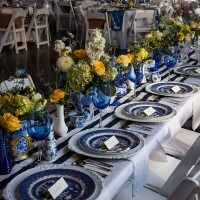 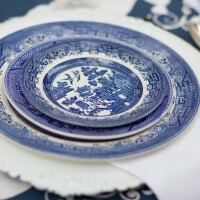 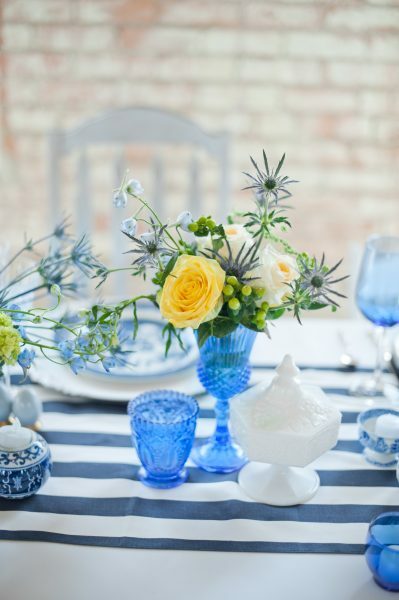 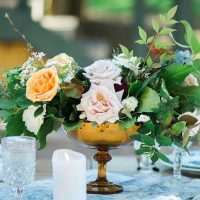 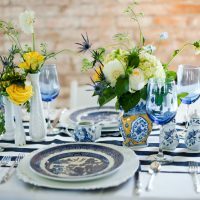 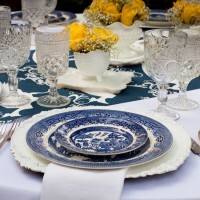 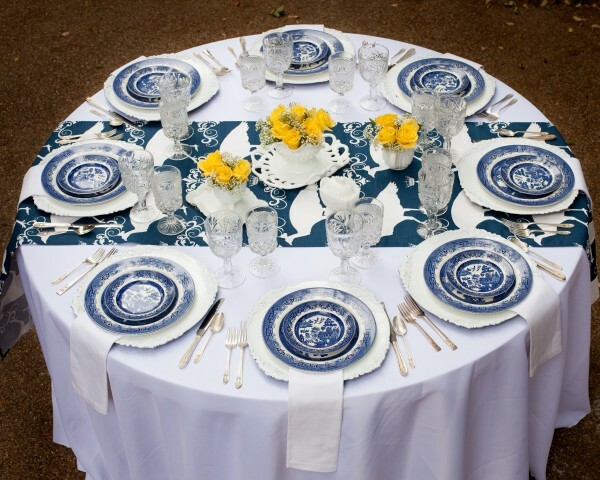 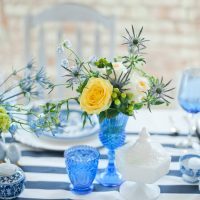 Blue Willow china pairs well with with white, yellow, blues, and rose colored floral centerpieces. 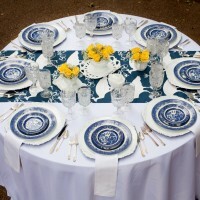 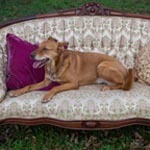 We have matched Blue Willow service for 75 guests.